Welcome to the Robert A. Tino Gallery. 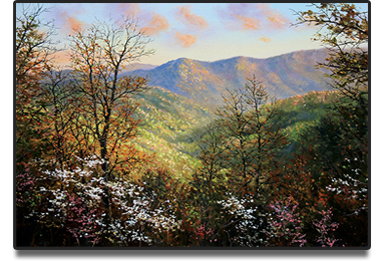 For nearly 30 years, Robert TIno has used his talents in oil, acrylic, and watercolor to capture the many scenes of the Smoky Mountains in remarkable detail, color, and depth. 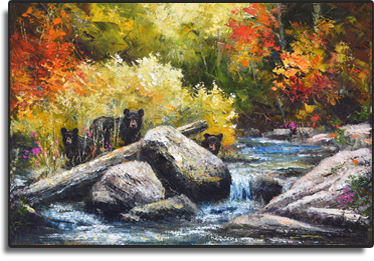 Robert interpretes the landscape of the Great Smoky Mountains with an eye, palette, and brush stroke that meshes realism with impressionism. 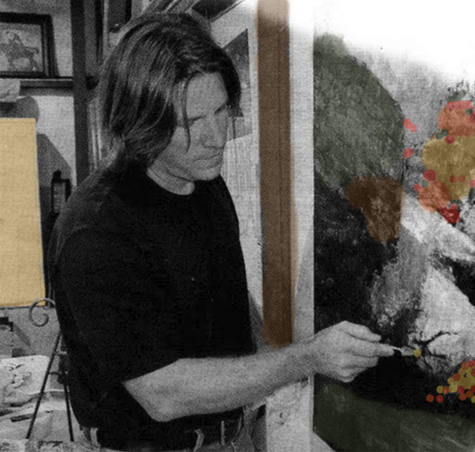 Abstraction, impression, and realism all share a part of the diversity of his work. Mountain scenes, rich florals, as well as abstract and contemporary art are all products of the creative influences and passion that catch his eye. Robert’s work enjoys a devoted following of collectors that grows with each new release. 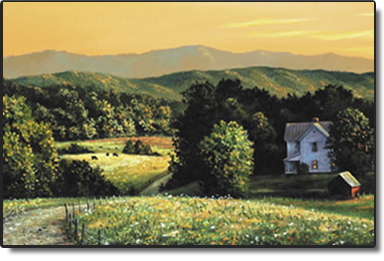 Our gallery is located in Sevierville, TN. Visit us there or take a look at our online gallery.